I seem to be reading more lately? I dunno. House is more unpacked than not, and things that are left to do, I cannot really progress on without outside interference. Either way, I’ve also been reading more of the partial series I have scattered all over the map, instead of new stuff. In a way that’s good, because progress, in a way it’s bad because there’s so many things I still have no idea about even though they’ve been talked about lately. That is the problem of lacking infinite free time, I suppose. 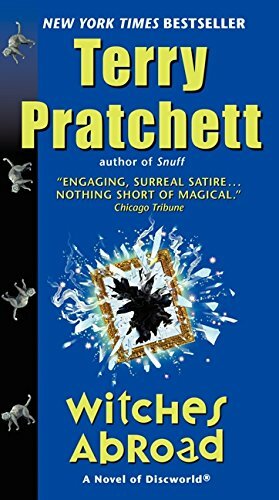 So I read another Pratchett. In Witches Abroad, he studies the nature of fairy tales, mirrors, and family relationships. Mostly the nature of fairy tales, though the characters say it’s the nature of stories. That said, the characters are analogues for the Fates, so any story they’d be in would have fairy tale elements nearly by definition. See, this one fairy godmother (only distinguishable from any other witch, so far as I can tell, by her possession of a magic wand) died prior to handling all her affairs, so she sets the witches from Wyrd Sisters on a quest to wrap things up. So they head off to Genua, which is to say New Orleans, and proceed about their appointed tasks. 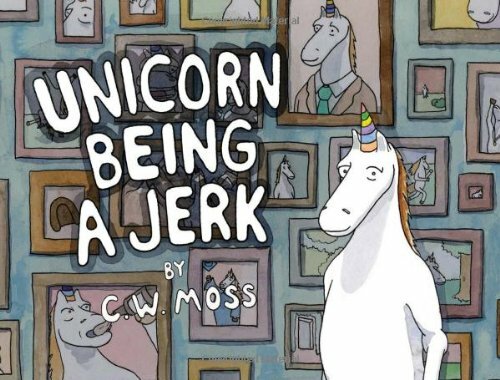 I know I’m very near the threshold where these books are basically always of high quality, so it’s nice to be able to say that yep, this one was really quite good, very funny throughout and with the characters who are currently my favorites. 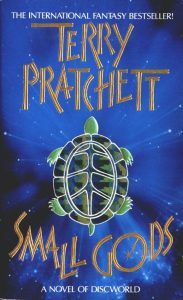 Yay, Discworld! The last one is a bit of a stretch, in that it’s not untrue but also in that most of these books have been about family to some degree, especially if you accept “the family you choose” as fitting the paradigm. 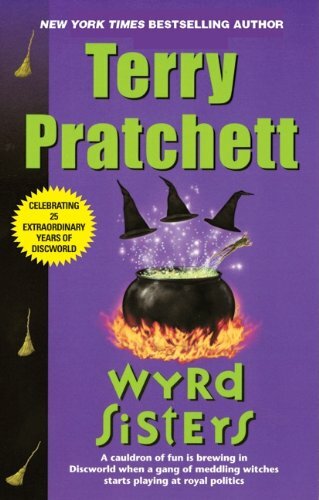 Who I suppose will be henceforth known as the witches in any of the Discworld “witches” books. 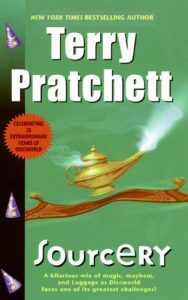 This entry was posted in Words and tagged Discworld, fantasy, humor on April 30, 2016 by Chris. 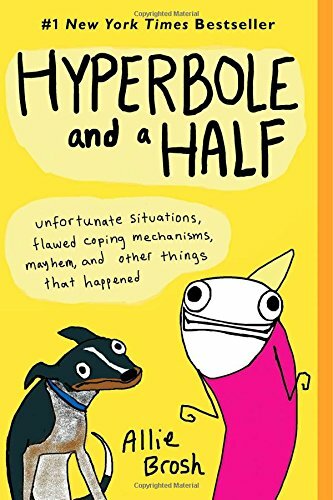 As you probably know if you’ve spent much time on the internet over the last five years, there’s a bizarrely drawn website about (mostly) childhood, dogs, and/or mental health called Hyperbole and a Half. What there’s a slight chance you don’t know is that the creator of that site has also released a book compiled partially from what’s already on the internet and partially from new essays. She’s funny, often relatable, and the book reads quickly. I’m not sure you’ll get a deeper insight into the human condition, although if you’ve never dealt with depression, maybe you would learn something? But people often don’t, if they haven’t seen it themselves, so maybe not. By and large, it’s a humorous essay book, and they all cover the same thematic ground. The specific circumstances of this one? Yep, funny. I do really wonder about her self-image, though. Her drawings are all on par with each other, rough but good enough that you can tell there’s some real talent going into them. The dogs start out looking like caricatures of bad dog drawings until you realize how well she captures different poses and moods. All of the people look like people, and so forth. Except, her self portrait is of a worm with a blonde sharkfin, wearing a tubesock. This is universally true, every time, even amidst other perfectly normally (but still roughly) drawn people. It’s obviously a stylistic choice, I just… like I said, I cannot help wondering what it means, on the inside. The answer to that question does not, as far as I can tell, reside within this book. But it’s still worth reading! This entry was posted in Words and tagged essays, graphic novel, humor, non-fiction on December 21, 2014 by Chris. Remember that time when you watched Dr. Horrible’s Sing-Along Blog, and it was funny and poignant even though Felicia Day’s character ended up being wasted? And then nothing else ever happened, since it was a writer’s strike project for fun that didn’t really go anywhere, despite solid DVD sales? And you wished the story could continue? Well, albeit in prequel format, that very thing has occurred! Although perhaps a little pricey for the speed of the read, it was consistently interesting and funny both, and I hope to see more of the same sooner rather than later. The best of a good lot followed the Evil League of Evil’s rampage through the city, while the superheroes were all off on a forest retreat, getting back to nature or something. If none of the premises in the previous paragraph are valid, I have the show on DVD and will happily watch it with you at any time. You’ll be glad you did! This entry was posted in Words and tagged graphic novel, humor, superheroes on October 29, 2010 by Chris. 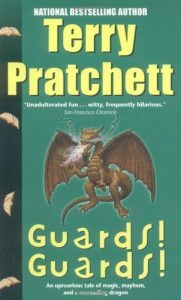 First of all: if you now or have ever played Dungeons and Dragons, why aren’t you reading the Order of the Stick? It’s a long running webcomic that combines humor based on the role-playing game, actual humor, and a globe-spanning epic quest to save or destroy the world, depending upon what character viewpoint any given comic is following. And the art, you will be retrospectively unsurprised to learn, is based around stick figures. 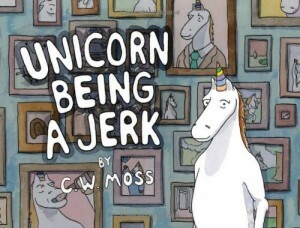 So now you know, and you should read it! Plus, secret bonus for long-time readers: Rich finally turns a spotlight on the scary monster that’s always hiding in the dark! This entry was posted in Words and tagged epic fantasy, graphic novel, humor on July 5, 2008 by Chris.